We love all catering parties - corporate parties, holiday parties, birthday parties, baby showers, bridal teas and any intimate gathering. 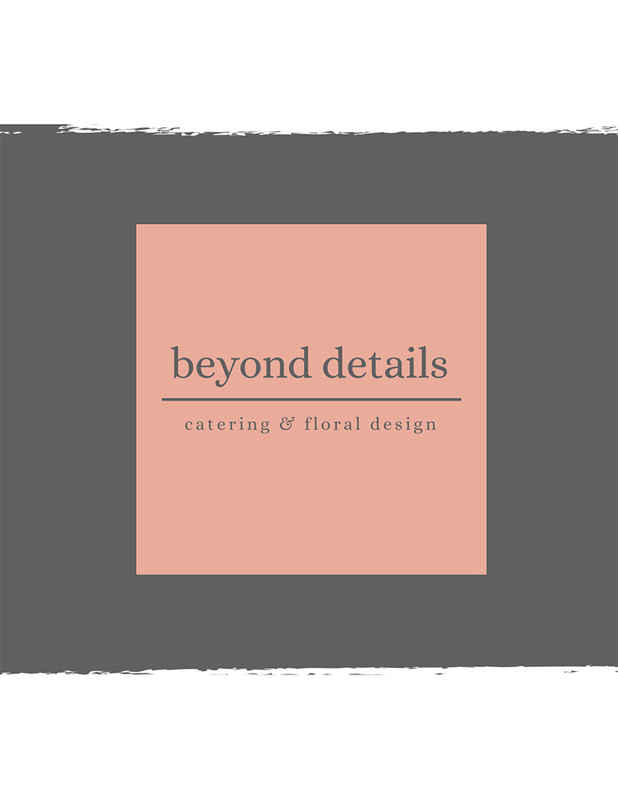 The Beyond Details team diligently provides corporate party & event catering that matches menu and culinary creativity to enhance the overall theme of your event through food. 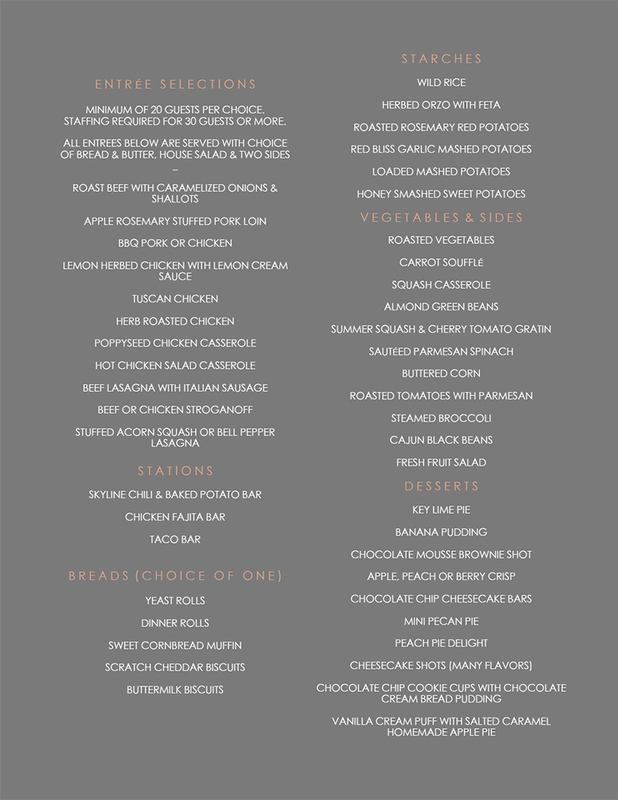 In other words, we are happy to create a custom menu with this in mind so that each aspect of your event is executed with the overall vision and theme throughout. We see countless clients coming to Nashville wanting that true “Southern Experience” and menus to match. Modern Nashville Cuisine is hitting the maps nationwide and our culinary team are expert in creating such foods. They are not, however, limited to creating just this type of food and can also create Classic Continental, Asian Fusion, Country French and Modern Italian cuisines to name a few. 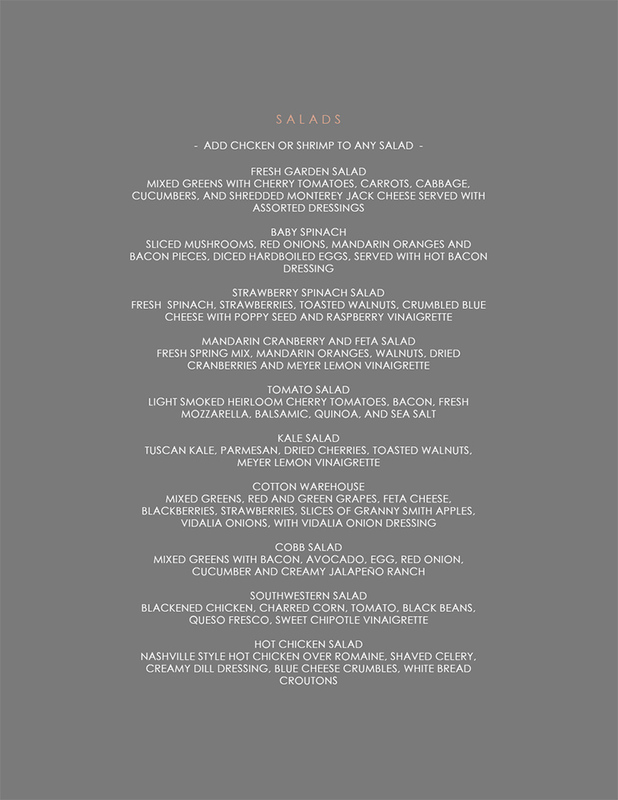 Please let us know your party theme and we will help create a menu to match. 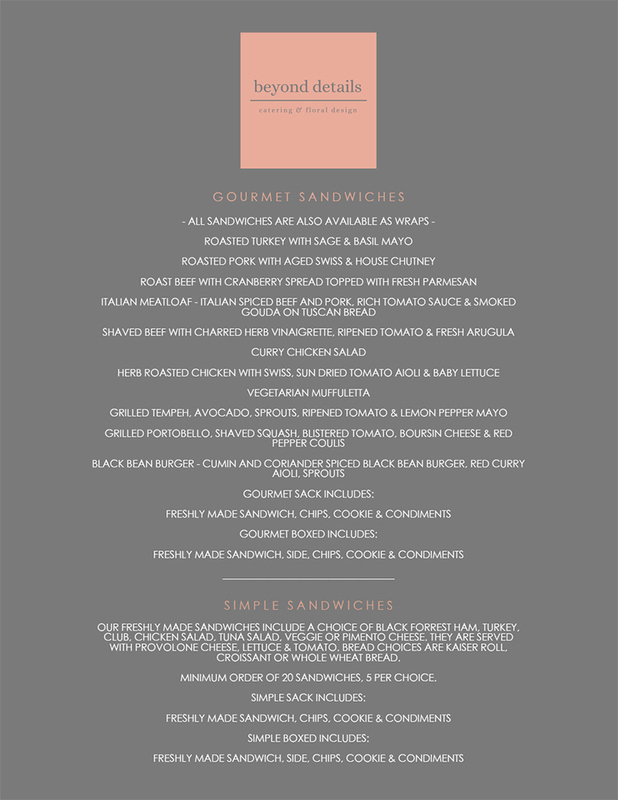 Creativity and customized menus and events are our specialty. Come let us create something wonderful for you!